The Spirit of Mother Jones Festival is proud to welcome Dave Hopper, General Secretary of the Durham Miners’ Association, and Secretary of the National Union of Miners (North East Area), which he represents on the National Executive Committee of the NUM. Dave has been involved all his life in mining, he began as a coal miner before becoming active in the union. 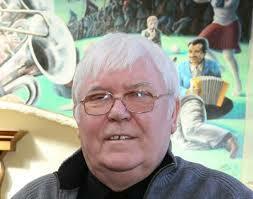 He played an active role in the Miners’ Strike in 1984/85 and witnessed the events at Orgreave on 18th June 1984. He will speak about the impact of the 1984/85 Miners’ Strike and explain the significance of the Durham Miners Gala. The first Gala was held on 12th August 1871 and was organised by the Durham Miners. It is the largest annual organised gathering of workers in Europe. Miners from various National Mineworkers Union branches march behind their lodge or village banners and their colliery brass bands. Over 100, 000 can take part in the event, it has survived the virtual demise of the coal industry and goes from strength to strength. The focal point is at the County Hotel at Old Elvet in Durham, where various processions of workers converge before heading to the Racecourse for speeches and a festival for all the family. The Gala is a festive, colourful expression of union, socialist and working class traditions and takes place each year on the second Saturday of July in Durham. 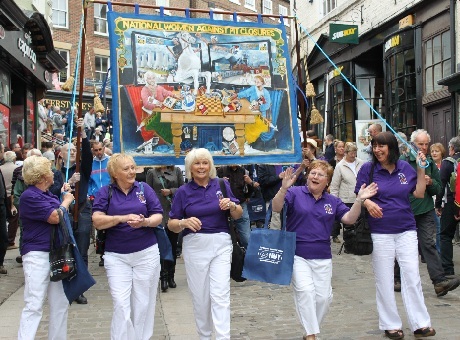 The Durham Gala at its core is about the expression of identity of mining communities, its resplendent and unique banners represent and display the heart and soul of the nobility of union membership and social and community solidarity. Although the mines may be almost silent now and the traditions deemed old fashioned, the proud spirit and history of the mining communities remain and in the Durham Gala are displayed in all their resilient and powerful glory as a beacon of hope and belief in a fairer and equal and just society for all. Dave Hopper will speak during “Miners Day” at the Spirit of Mother Jones Festival on Thursday 31st July at the Firkin Crane in Shandon.